to find a tree on which to fasten a rope” . Pest threatens to cut swathe through UK elm trees, will Brexit help? Elm trees already devastated by Dutch elm disease are being ravaged across south and east England by a new alien pest that leaves the 'Mark of Zorro' on their leaves. Maps seen by the Telegraph show the Elm Zigzag Sawfly, originally from Japan and named after the Z-shaped holes it eats into leaves, has colonised a 7,000 square mile area of England. The bugs can consume almost the entire foliage of an elm, not only threatening the future of rare and endangered indigenous insects like butterflies that live on elms but also weakening the trees’ ability to resist the twin threats of Dutch elm disease and hotter British summers. It has now been sighted across an area covering a seventh of England from Hythe near Folkestone in the south to Ipswich and King’s Lynn in the east and Oxford and Bedford in the heart of England. As written in the Telegraph Matt Elliot, the Woodland Trust’s tree health expert, said there was nothing that could stop it as pesticides would kill other indigenous insects that live on elms including one of the UK’s most endangered butterflies, the white-letter hairstreak. It is now threatened by the alien invader. 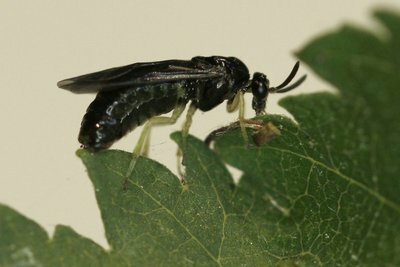 The elm zigzag sawfly is also a rapacious breeder that like greenfly is asexual so does not need pairs to populate swathes of the countryside. “You only need one female to arrive and you are off,” said Mr Elliot. He said that although an infestation of zigzag sawflys would not in itself kill a tree when they started eating the foliage in Spring, it was the accumulation of threats that was worrying, weakening it to fight drought and Dutch Elm disease, which has claimed 60m trees in the UK and is still spreading. Mr Elliot blamed Britain’s poor defences for letting in the sawfly, the microscopic eggs of which can survive winter hidden in dead leaves and may have been either imported with an otherwise healthy elm or hitched a lift on another tree species. He said Brexit offered the chance to tighten border controls and restrict freedom of movement for tree imports to protect native species like elm, oak and horse chestnut, all currently under threat from alien pests or diseases. Campaigners including the Woodland Trust advocate a model like New Zealand’s where officials conduct comprehensive scientific audits of the threats to each tree species before imposing a ban on any imports of any that might threaten its indigenous trees. By contrast, the UK has banned elm imports just from areas afflicted by elm yellow, a killer disease, but allows in elms from other areas. “New Zealand would say there are all these threats to elm. Let’s not import elm. Full Stop. 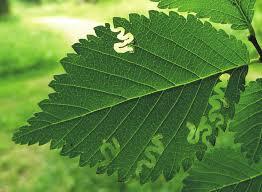 Elm is a native species, we should not need to import it,” said Mr Elliot. 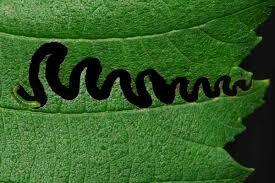 Elm zigzag sawfly was first identified in Dorking, Surrey in June by the Royal Botanic Garden Edinburgh. It was first seen in Europe in 2003 and caused 74 per cent to 98 per cent defoliation of elms although in some countries like Bulgaria it has been just 2 per cent. All three UK native elm species are vulnerable. Defra said it had invested £4.5m to improve border security and launched a new tree health resilience strategy. “We take pests and diseases very seriously,” it said. The Woodland Trust, however, claimed there were gaps in our defences with 25 per cent of imported elms coming in unchecked.